In the Shops at Piper Glen next to Trader Joe's and the Four Mile Creek Greenway. Join the fun on Facebook. Fall Migration has begun, we are starting our Birding 101 Walks. 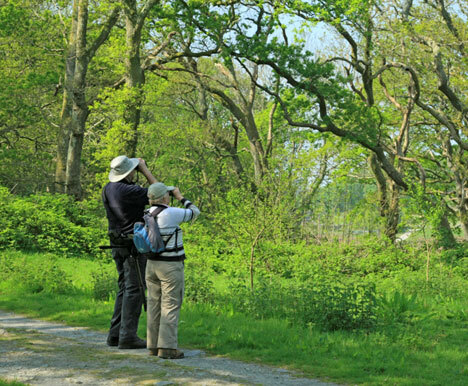 A local expert will guide each class of 12-15 people on an easy walk along Four Mile Creek Greenway and discuss birding techniques, binocular tips, identification guides, etc. Our next class will be Saturday, October 15th at 8:30am. These classes are $5 to cover the instructors time and expense and you must pre-register for these classes by sending an email to carol@greenwaybirdhouse.com, calling 704-541-1180 or drop by the store and sign up in person! What does composting have to do with birds? Well, if you want to have a lot of birds in your garden, then sustainable gardening practices– less chemicals and more natural methods–are key to building a healthy habitat for birds and other wildlife. Compost is a wonderful way to add nutrients to your garden safely, without chemicals that may harm birds. HOT BATCH Composting, using debris from your garden or yard to make a large pile of compost and VERMICOMPOSTING, using red wiggler worms in a container to turn your kitchen scraps into a safe and effective fertilizer in your garden. $10 for the class. Attendees will receive $10 off wire fencing for Hot Batch or $10 off Can-o-Worms for the Vermicomposting class. CLASS SIZE IS LIMITED SO SIGN UP SOON by sending an email to Carol@greenwaybirdhouse.com.